My mother, who passed away more than 10 years ago, was very good at knitting and crocheting. When I was a little girl, I was always learning how to knit and crochet from her. 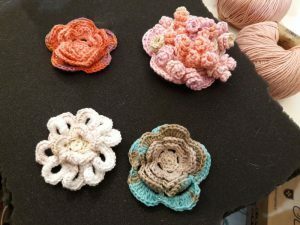 In addition to knitting and crocheting, she loved gardening very much. She enjoyed growing various seasonal flowers in her garden. Recently, I joined a knitting/crocheting workshop near my apartment in Rome. An abundance of rolls of yarn in various colors on the shelves in the handicrafts shop reminded me of my mother. In the shop, there are a lot of lovely pieces of work, such as scarves, pullovers, baby clothes, flowers, bags, and pouches. The teacher allowed me to choose what I wanted to learn. Remembering my mother, I chose flowers. While I was learning from the teacher, she looked as if she were my mother. I really enjoyed crocheting these flowers. 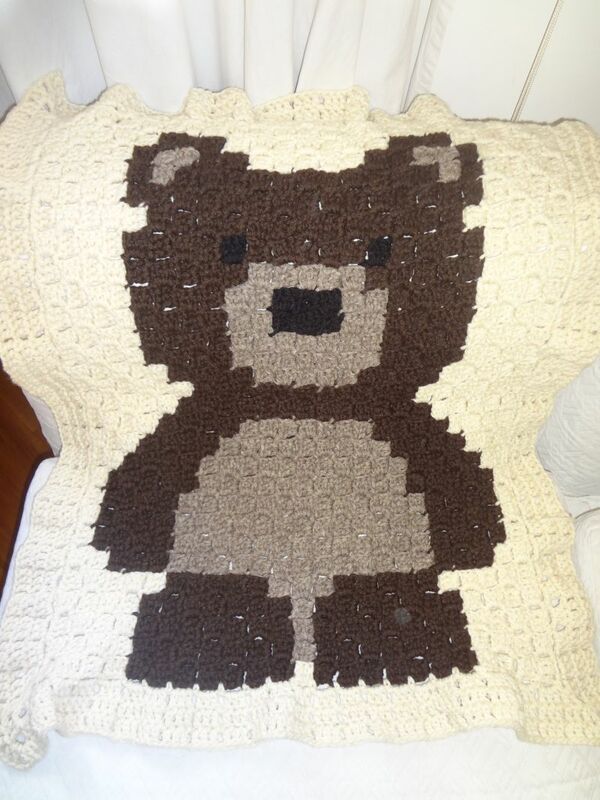 Several months ago, in the same workshop, I learned how to crochet a bear-patterned blanket. Whenever I complete something, the person whom I would like to show it first is my mother. Mom, look at this bear! Isn’t he so cute? He looks like Bobby, doesn’t he? The skills of knitting and crocheting from my mother, and the memories about knitting and crocheting with her will be with me forever. These are priceless gifts from her. On Mother’s Day, with memories of my mother in mind, I am pondering what I could give to global society…..